The Orfeó Català is one of the main engines of Catalan culture and choral tradition. The Orfeó Català (Catalan Choral Society) is an association founded more than 125 years ago and headquartered at the Palau de la Música Catalana Auditorium, and which represents one of the main drivers of Catalan choral culture and tradition. This not-for-profit association can trace back its origins to the vocational choir founded on 6 September 1891 by Lluís Millet and Amadeu Vives, an activity that continues today through a comprehensive concert and choir singing training programme. 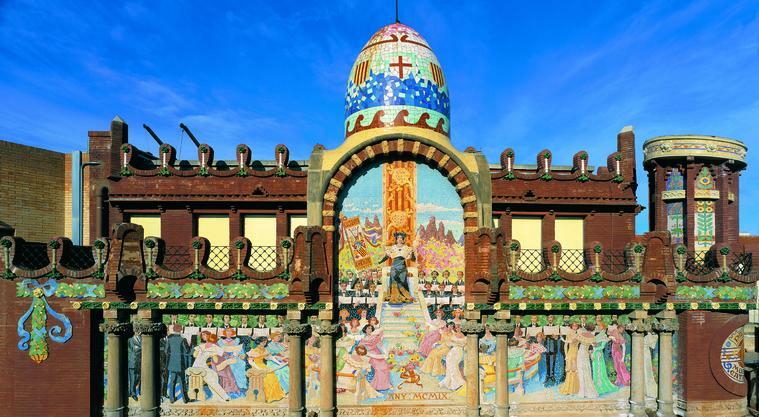 The Orfeó Català promoted the construction of and owns the Palau de la Música Catalana building, built between 1905 and 1908 by architect Lluís Domènech i Montaner and financed with public funds. The Palau de la Música Catalana is an architectural jewel of Catalan Modernism, the only concert hall declared World Heritage by UNESCO (4 December 1997), which is currently an essential meeting point for Catalonia’s musical and cultural life. The Orfeó Català and the Palau represent the symbolic and sentimental heritage of an entire people who identify with their history. la Música Catalana, which concentrates the management of all the activity of the choirs of the Orfeó and the Palau de la Música Catalana. The Chairwoman of the Associació is also the Chairwoman of the Association. The Association is governed by its bylaws, by the resolutions of the General Assembly of Members, which is the sovereign body through which the members’ wishes are expressed, and by the resolutions of the Board of Directors, which assumes the representation and governance of the Association.